The Streatham & Brixton Chess Blog: Improve Your Chess VIII: Improve Your Chess!? This is the penultimate installment of this series, and it is different to all the others, including the next. In each other article I suggest ways to improve your chess directly or less directly linked to one way that I improved mine. This article is different. Instead, here are various things I've been thinking about, without reaching any conclusion. I'm not sure if these things are related to chess improvement, or not: maybe, maybe not. Btw, each subsection can be read separately or skipped entirely. They are not in a particular order, and they are more or less independent of each other. The final installment of the series next week, incidentally, may well include the most important single thing I did to improve my chess. But first, something else, or maybe nothing . . . I've not played a game I've been really proud of for quite some time. Comfortably over a season, at least. Instead, most of my wins from the season just gone have to me seemed bitty, inconsistent, lop-sided, or boring. Yet in the years where I didn't improve, I played many games I was chuffed to pieces over. Now, I've not read John Watson's famous books, but friends who have say one thing he emphasizes is that in modern chess winning is ugly. I think what he means is the grand plans of the past, the positionally perfect games, logical as clockwork - games won in such ways are gone, at least between players of equal strength. The reason? 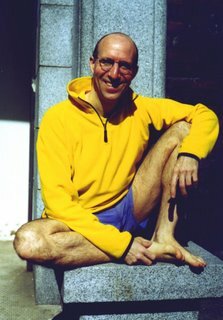 I'm not sure, maybe the way computers have shown how chess is far more tactically random than previously realised, maybe that Kasparov's reign demonstated how pieces were far more dynamic than previously understood; that pawns are less the souls of chess than ever before. This position is the outcome of successful opening preparation. I'd realised who I'd likely face before the game, and noticed he always played the Open Ruy Lopez as black. So I'd prepared 5.d3 for this encounter, which rules that out. Visibly flustered, he'd gone into a version of the Closed Spanish where he managed to lose two (!) tempi and then misplay the resultant position anyway. Clearly, in the diagram, there is a lot of wind gusting around his king, and this spells trouble. After I won the game, a spectator I knew was blinking at the final position, so I said hello. He couldn't believe it was the final position, because my knight was still on g3, black's pawn on h5. How had I not played Nxh5 at some point? He was incredulous - and indeed, Nxh5!? was a plausible move many times, not least in the diagram position. But, I said, it was never clear, and anyway, winning material was a cleaner solution. "Yes, but . . ." he mumbled, infatuated with the glamour of sacrifice. But in the diagram position there is no need. Exchanging material, releasing some of the tension and surrendering a part of the centre with the positionally-ugly 23.axb5 axb5 24.Rxa8 Bxa8 25.dxc5! just wins material, thanks to the threat of Bb3 combined with the pin on the d-pawn. I won eleven moves later. Conclusion? Chess demands ugly play, so be ready to win ugly. Maybe. Each of the last five undisputed World Champions have, at one stage of their career or another, played a substantial number of games on both sides of the Sicilian. I'm not sure, but I don't think the same has always been true of their challengers. I think that the Sicilian - I mean, the open Sicilians, the complex mainlines, where a simple pawn exchange in the opening unbalances the position fundamentally, where all other material is left on the board - is different to all other openings. Maybe it's the degree of difficulty, maybe the direct blending of tactical and positional phases, maybe that attack and defence are routinely combined, often on the same sector of the board - I'm not sure. But I am sure it's different. The Sicilian is something else. And I think it helps improve our chess if, for a certain period of time at least, we commit to playing it with both colours in the mainlines. Why? I'm not really sure. The Sicilian forces us to think. The Sicilian forces us to be constantly alert to shifting strategical feature and an array of tactical opportunities. The Sicilian reminds us how difficult chess is. That kind of thing. Perhaps it's rather like, if you want to be good at pool - practice snooker. 14. ? ! ( -/+) 15. ?? (-+) ?! 16. ?! ?! 17. ?! ?? (=+) 18. ! ? (=) 19. ?? (-+) ?? (=) 20. ! ! 21. ?? (-/+) ! 22. ?! ! 23. Resigns?? (-/+ of about 1 pawn, says Fritz). My conclusion? If you've not before, then commit to playing the mainline Sicilians with both colours for a significant period of time. The Sicilian is different, and forces us to be different players. This whole experience helps us improve. Maybe. Chess has a language: "plus-equals", "passed pawn", "middlegame", "attack", and so on. However, chess itself is a wordless game, not an argument couched in certain key terms. Finding the right balance between thinking in words and analyzing positions and sequences is not an easy thing to do. Too much wordage and we risk confusing ourselves, talking ourselves around in circles; too little, and we don't grasp the fundamentals of the position, instead spend all our time looking for fleeting tactics that are never there. Being aware of this is one thing. Possibly another, is to develop our own chess language, prioritizing certain terms to ourselves when they reflect problems we regularly face more often than others. For instance, a few years ago I had a spate of games where I got pieces trapped. I realized that there was no neat term for "piece-trapping tactic" like pin, fork, etc. So I made myself consciously check for "piece traps" in every game I played, and increasingly this kind of mistake has left my play. Or more recently, reviewing some games with the computer, I realized that whilst I was playing many stages of the game reasonably, I was handling the part when the position explodes - when all plans come to fruition, where threats are made each move, when three different unclear endgames are available with every second exchange - particularly badly. In short, I was playing the complications badly. Having realised that, I now try to recognize complications when they occur, calm myself down, remind myself it's meant to be a struggle, and compose myself. My new awareness of the word complications also helps in not thinking for too long in positions that aren't, well, complications. Now, complications isn't a word that one sees in the book titles of chess literature. There isn't an Informator symbol for it, either. Nonetheless, for me it's become at the centre of my chess vocabulary - the intersection of one of my main problems with the game and the reality of the game itself. Does developing your own chess vocabulary help you improve? Maybe! "I don't really know this stuff," I said in our second post-mortem in a month, sat on the black side of the position after 1.e4 e5, "but I thought I'd vary. I figured you'd have come up with an improvement in that Sicilian line you lost in last time." "No ? ? ? . . . ! ! !" What was strange about this was that in our first game, I'd found a very simple improvement for him, but still hadn't fixed the line from my point of view. However, the improvement was an unthematic move (punting e4-e5 in a Closed Sicilian, rather than the usual f4-f5, as he had unsuccessfully tried.) And in our second game? It had been a Closed Spanish, and when I'd prevented him from making the usual kingside manouvers for white by breaking first on the queenside - he'd swapped off as many pieces as possible and offered a draw. I had no reason not to accept. On the way home I was puzzled. The whole thing in some way reminded me of the second game here, against a different opponent, where white in a Closed Sicilian had been prevented from playing the thematic f4-f5, and so instead had exchanged material into a totally lost endgame. Compare white's pawn structure on move 20 to that on move 25 in that game, and you'll see what I mean. From this, I speculated that there is a certain type of player who always wants to play the same game. Each game they want to execute the same thematic same plan (usually a kingside attack in a closed position - a King's Indian or Stonewall being typical; maybe it's the "safety" of the closed position mixed with the single-minded simplicity of purpose - mate - that attracts) and if they can't . . . they instead exchange pieces and hope the endgame is drawn. Conclusion? Players who try to play the same game each time can't improve their chess, so stop doing so if you are one and wish to improve. Also, such players are relatively easy targets if you can recognize them as such, susceptible to severe misjudgements in the transition to the endgame as well as confusion in middlegames that do not follow the pattern they know. In general, recognizing and understanding such "player-types" and their limiations help us improve our chess by overcoming our own limitations, and exploiting the weaknesses of others more clearly. Maybe. In my advice about simulating over-the-board chess in training, I briefly discuss trying to read chess books with the ethos of simulation in mind. This involves only reading chess books with a proper set, and being willing to put the book aside and study the positions and games in it without the actual book to hand. That is, on our own - like during an actual game. I admit there that I find this a difficult thing to do, especially with opening books. When we read this way we are fundamentally trying to objectively understand what's going on on the board in a situation close to otb; typically this involves an expert usually of Grandmaster strength explaining the position and the game. Often the explanations of the game itself will include interesting asides about what the players were feeling, what the tournament context was (last-round must-win, etc) and so on. In the past I've tended to filter this stuff out as "entertaining but irrelevant" in an attempt to come closer to the "objective truth" and "Grandmaster understanding" I assume is on offer. Here Nunn writes how he was "dumbfounded" by 16...Nxe4 and that "for several minutes I just couldn't see the point of it . . . Then I suddenly saw the idea." The game continued, 17.Qxe4 Bb7 18.Rd5 Rc8 19.c3! Qc4 20.Qxc4 Rxc4 21.Bg2 Bxd5! 22.Bxd5 and then black played 22...Rxh4! to which Nunn writes: "This move is the key point which it took me several minutes to see at move 16." Reading the whole of his annotations with empathy (for the rest of which see Secrets of Practical Chess) we see his mood change from complete surprise, to sudden realisation of the unfortunate truth, to grim determination. We also see how quickly he manages to analyze a hidden tactic six moves and five captures from the diagram position: "several minutes". So what? Well, my feeling is that reading such annotations with empathy, we develop a much more involved intuition for what it is really possible to do in chess. That is, for that we can expect human beings to do at a chess board - and what is hard to do. Not only that, we can relate it to how they are feeling during the game: whether dumbfounded, excited, caught-up, or grimly determined. And in doing so, we open ourselves up for thinking differently at the chess board. In particular if we read the annotations of stronger players this way, perhaps we come to understand how they are at the chess board better, which enables us to be more like that ourselves. Now, I don't know if this is true or not. But I think we see something comparable in the history of our game and other games. 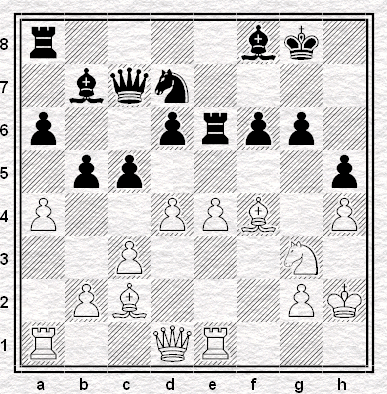 Once Steinitz had demonstrated a defensive technique that made the romantic openings more or less obsolete at the highest level, other leading players followed. Once the hypermodernists had shown the centre needn't be occupied, players at all levels were able to follow their lead. Or in football, when total football changed the way teams approached the whole game. I believe something similar also happened in snooker, when Alex Higgins showed it possible to open the reds in more positions than previously thought possible. Conclusion? Try reading annotations with emapthy, rather than just the search for objectivity and understanding. Maybe it will help you be more in tune with the experience of playing chess, which will have a useful practical effect. Maybe, that because we can't know in advance what will help our chess, we should leave ourselves open to all sorts of changes, always ready to reject, rethink, revise, or alter what we are doing or think we know. Embracing such uncertainty is not easy, but there are a lot of different and confusing things involved in trying to improve your chess. Or, maybe not. I wonder if the most important thing to learn is how not to panic? In Chess for Tigers Simon Webb wrote about the half dozen or so factors he thought relevant when faced with a difficult choice, say whether to go into a favourable looking endgame or launch a direct attack. "The one factor you should not consider, however, is how much the attack will impress everyone if you can win with a brilliant sacrifice. As a Tiger, you should be concerned only with results, and that means going for the ending if that is the safest way of winning." Don't agree with the Sicilian stuff though. Ali Mortazavi in his 1986 batsford book on the Kan says that in his opinion, every serios chess player should have experience of the main lines of the Open Sicilian. He gives a list of reasons which are about its tactical and strategic richness. Me, I reckon it's the Symmetrical English that's different. I know that really they're all different . . . but the Sicilian is differently different!